Photograph by Rebecca Vale Photography. As a business that thrives on creativity, we were proud to sponsor the Arts Category at Exeter Living Awards 2018. 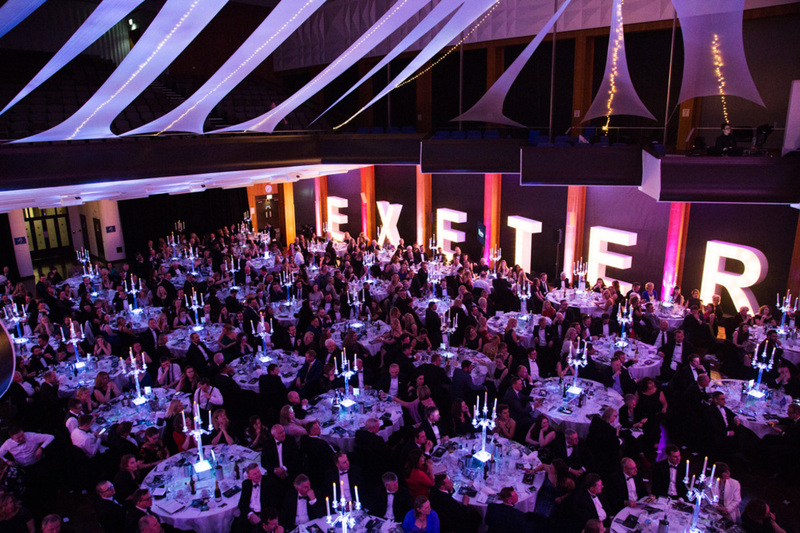 We enjoyed a fantastic evening at the awards with over 400 people in attendance, making it a great opportunity to network and catch up with some of the brilliant businesses in Exeter. There were plenty of deserving winners on the night, including The Corn Exchange and Exeter Phoenix as joint winners of the Arts Award, a fab recognition for both. After the huge success of Exeter Living Awards in 2018, we couldn’t turn down the opportunity to sponsor this fantastic category for the second year running and we are extremely proud to announce that we’re sponsoring the Arts Category again for the 2019 awards. The Arts Category is looking for nominations from crafts, plays, music, paintings, dance, galleries and more… We work with a huge range of clients that would benefit from entering this category, from independent craft businesses to creative venues, artists and galleries. With some brilliant businesses in Exeter that are hugely deserving of winning one of these powerful accolades, we can’t wait for the finalists to be revealed on the 22nd of January! We’re proud of where we work and live, from supporting local charities and environmental causes to working with local businesses - we do our bit to ensure Exeter is a great place to live. Think your business could be the winner of the 2019 Exeter Living Arts Award? Visit www.exeterlivingawards.co.uk to enter now!